Jorge Corona is the Russ Manning Award winner artist behind Feathers, Goners and We are Robin. He’s also work in such titles as Power Rangers, Regular Show, Bravest Warriors, The Flash, Justice League Beyond, and Teen Titans GO! As well as the closing chapter of Jim Henson’s Storyteller: Dragons. He worked on the illustration of "Skies Above," story by Rhianna Pratchett in the Attack on Titan Anthology. Originally from Venezuela he currently lives in his hometown Maracaibo. 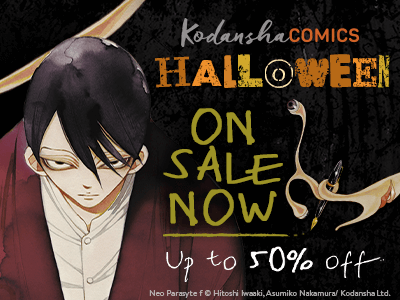 Neo Parasyte f digital debut—part of our Halloween digital sale! Now we’re on BookWalker Global! 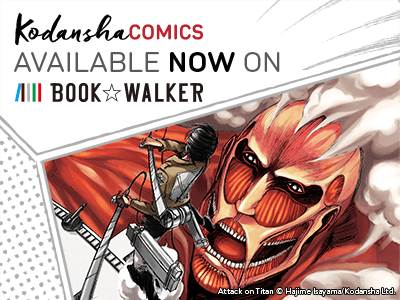 Yes, a new place to buy digital Kodansha Comics: starting from October 25 we've adding our entire catalog of manga to the BookWalker Global’s ebook store, with new releases to be added as they come out! And to celebrate, BookWalker is offering 18% off for all eBooks. The iOS BookWalker apps for iPhone and iPad are now available on the Apple App store or the BookWalker Android apps on Google Play. Joe Rivera is an inker, custom-motorcycle artist, and the father of Paolo Rivera. He often collaborates with his son, including Mark Waid's Daredevil series, for which they won two Eisner Awards. Most recently, he inked Paolo's pinups for the Attack on Titan Anthology. He lives in Daytona Beach, Florida. Paolo Rivera is an Eisner Award-winning comic-book artist from Daytona Beach, Florida. A graduate of the Rhode Island School of Design, he started working for Marvel before his senior year. He is best known for his run on Daredevil, as well as his many painted covers and posters. Most recently he worked on the cover and pinups for Attack on Titan Anthology. He currently lives with his wife and daughter in San Francisco, California. More about Paolo Rivera: paolorivera.com. Chapters updated the same day they come out in Japan. News feed all about the Attack on Titan manga and anime—including the lead-up to Season 2. All volumes of the main series—and all spinoff series—in one app. The first official Manga to Anime Sale—digital editions up to 50% off! The Fall Anime Season is here! 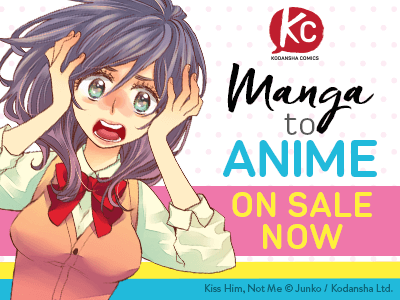 To celebrate all you anime-watchers and manga-readers out there, we're holding the Kodansha Comics Manga to Anime Sale, where we put on sale every manga volume that's been adapted into a recent or new anime series! 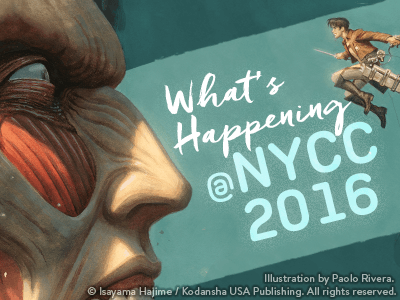 Wanna know what Kodansha Comics has been announcing at New York Comic Con 2016?!? 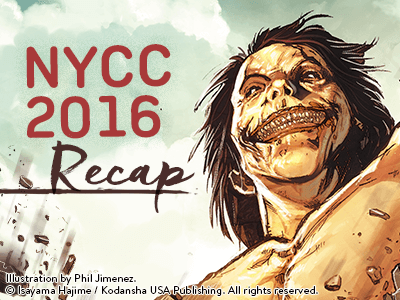 Here's the recap of our license announcements and summaries of our panels, in case you weren't there!